Renowned architect Cass Gilbert designed this Georgian Revival home in 1895 for Emerson and Mary Hadley, a prominent St. Paul attorney, at a cost of $8000. 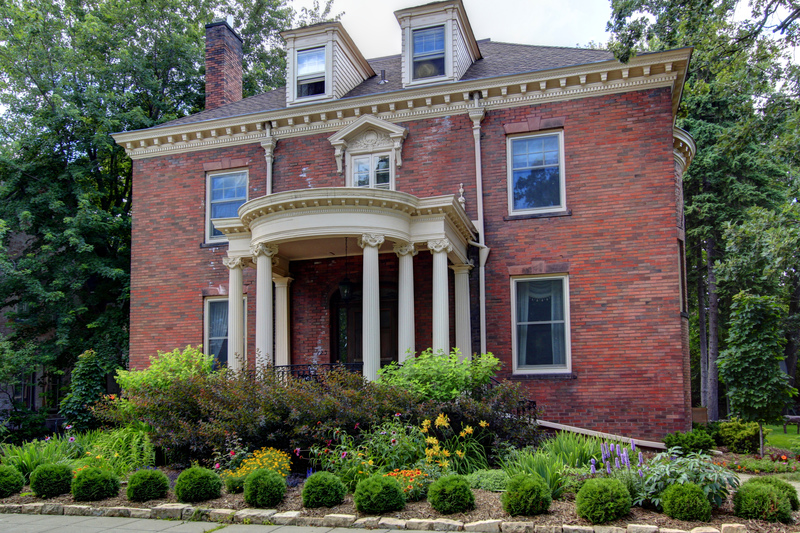 Originally (as shown in the photo below) the front entry had steps directly to the sidewalk, a balustrade above the entry, and porches along the entire front façade. The porches and balustrade were removed in the 1930s due to rot, as was a widow’s walk on the roof. The current carriage house and stone wall surrounding the property were constructed in the 1930s from stone salvaged from the Saint Paul City Hall building, demolished in 1932. Emerson was born in Marion, Massachusetts on December 27, 1857. He graduated from Harvard College in 1881 and then studied law at Columbia the following years before moving to Saint Paul in 1884 to set up his law practice. Three years later, he married Mary M. Luce, and had one child, Louise in 1892. 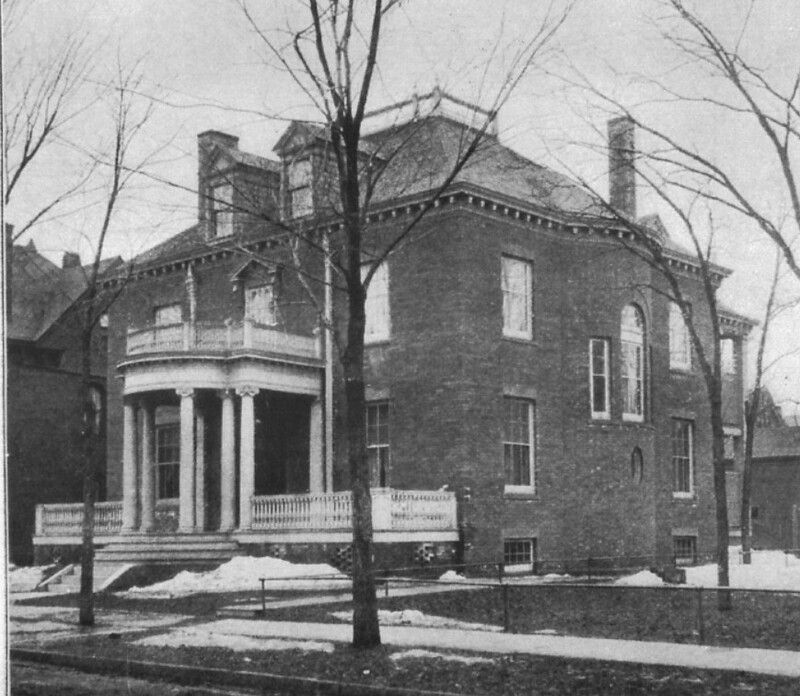 Upon Emerson’s death in 1916, the house was inherited by his daughter and her husband, Dr. Carl Bigelow Drake. According to Louise’s son, Harry Drake, Louise thought the living room too small for proper entertaining, so in 1917,the home was sold to Perry Dean and Mary Gribben. Mary was the daughter of Edward Saunders, president of the Northwestern Fuel Company who lived down the street at 323 Summit Avenue. Perry Dean was a 1903 graduate of Yale University and enlisted in the Aviation Section of the Signal Corps Reserve in 1917. On February 20, 1918, his automobile was hit by a trolley car when his chauffeur was unable to negotiate snow-covered street car tracks on Selby Avenue. He was thrown from the car resulting in a fractured skull and died in the hospital the following day. Unique features of the home include a music room designed by Cass Gilbert with curved walls to deliver better acoustic sound, as well as original glass folding doors instead of pocket doors.